When installing a new roof the overall expense can be daunting. Since the average consumer only buys one roof in their lifetime, getting the right options and look for a home can often put a burden on a family’s budget. When choosing a roofing company we suggest you work with a company that offers financing options to help ease that burden. A Plus Roofing offers multiple financing plans to assist every household. One option is a simple interest plan with multiple rates available. By choosing a simple interest loan with no prepayment penalties you have the freedom to pay extra when budget allows, which shortens the term of the loan. You can also pay this type of loan off at anytime and only pay interest for the length of time you actually needed the loan. There are also loans that offer Same as Cash payment options. This allows larger payments over shorter time periods to reduce the overall cost of the loan. Many loan options have fees that must be factored into your loan decision. Make sure your roofing company explains and includes these fees in your payment calculations. At A Plus Roofing we know that life can bring peaks and valleys to anyone’s finances. We have served may clients who did not think they could afford a new roof. There are loans that offer higher interest rates to accommodate homeowners who have had issues in the past which has affected the ability to get a traditional loan. A Plus Roofing has the ability to get nearly any client a loan regardless of their past history. Whether you have saved the money to install your roof, have a damaged roof that is covered by your insurance or you need to aquire financing. A Plus Roofing can help. 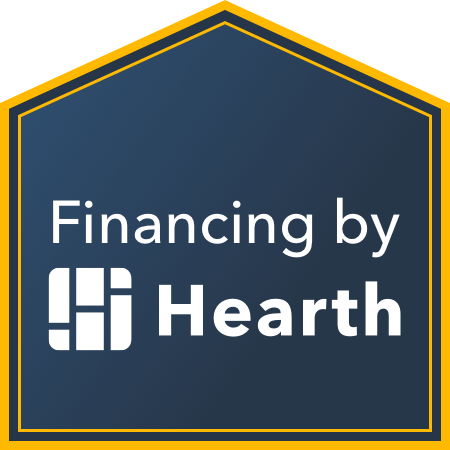 The decision to finance a roof is ultimately the homeowners.